This Software End-User License Agreement (‘EULA’) is a legal agreement between you (both the individual installing the software and any single legal entity for which the individual is acting) (the ‘End User’), and Cheetah Advanced Technologies Ltd, Scotland (‘Cheetah’). This EULA applies to (i) online data services as provided by Cheetah, which includes associated media and Cheetah Internet-based services (‘Services’), and (ii) software, pre-installed software on any of our hardware devices as well as cd-rom, memory card, download package or any other data carriers and all contents and contents programs (‘Software’). The use of our Services and Software is subject to this EULA including the Limited Warranty terms as set forth below. IF YOU DO NOT AGREE TO THE TERMS OF THIS EULA, PROMPTLY RETURN THE SOFTWARE TO THE PLACE YOU OBTAINED IT. IF YOU DOWNLOAD THE SOFTWARE AND YOU DO NOT ACCEPT THESE TERMS, YOU CANNOT INSTALL THE SOFTWARE AND YOU ARE NOT ENTITLED TO USE THE SOFTWARE AND YOU MUST NOT PROCEED. IF YOU HAVE ALREADY PAID FOR THE SOFTWARE CHEETAH OR ITS AUTHORIZED DISTRIBUTOR FROM WHOM YOU OBTAINED THE SOFTWARE WILL REFUND YOU THE PURCHASE PRICE PROVIDED YOU PROVIDE CHEETAH OR ITS AUTHORIZED DISTRIBUTOR FORTWITH WITH PROOF OF PURCHASE AND PAYMENT AND RETURN THE UNUSED ITEMS. BY BREAKING THE SEAL OF THE CD-ROM/MEMORY CARD, PRESSING THE ‘ACCEPT’ BUTTON FOR A DOWNLOAD, OR BY USING THE SOFTWARE YOU ARE AGREEING TO BE BOUND BY THE TERMS OF THIS EULA AS WELL AS THE APPLICABLE GENERAL SALE TERMS AND CONDITIONS. YOU REPRESENT AND WARRANT THAT YOU HAVE THE RIGHT AND THE AUTHORITY TO ENTER INTO THIS EULA AND THAT YOU HAVE REACHED THE AGE OF MAJORITY. IF NOT, YOU MAY NOT USE THE SOFTWARE. The EULA is subject to Scottish Law for disputes related to this EULA or the use of the Software or otherwise. The United Nations Convention on Contracts for the International Sales of Goods is hereby excluded from application to this EULA. 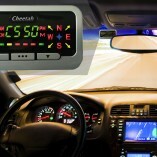 1) GRANT OF LICENSE: This EULA grants a license (‘License’) that permits you to use the Cheetah Software if and as rightfully obtained on any single computer or (Hardware) device, provided the Software is combined only with a maximum of three (3) GPS enabled devices. This License is non-exclusive and non-transferable. This License does not imply any rights to future upgrades or updates of the Software. The use of any upgrades or updates of the Software is governed by this EULA and its amendments and may be subject to additional payments and conditions. This License does not imply any rights to future delivery of free or paid Service or any other services. 2) COPYRIGHT: The copyrights and other intellectual, industrial and/or proprietary rights to the Software are owned by Cheetah or its suppliers. You may either (a) make one copy of the Software solely for backup or archival purposes, or (b) transfer the Software to a single medium provided you keep the original solely for backup or archival purposes. You may not copy the product manual(s) or written materials accompanying the Software, except for own use. You only become the owner of the material data carrier and you do not acquire the ownership of the Software. 3) OTHER RESTRICTIONS: The hiring, lending, public presentation, performance or broadcasting of the Software is prohibited. You, – or anyone else, whether or not in your assignment -, are not permitted to fully or partly modify the Software, to analyze it by means of reverse-engineering, to decompile the Software, or to make products derived from it. 4) CONFIDENTIALITY: You acknowledge and agree that the Software was developed at considerable time and expense by Cheetah and is confidential to and a trade secret of Cheetah and/or third parties. You agree to maintain the Software in strict confidence and not to disclose or provide access thereto to any person. If you would nevertheless grant another person (unauthorized) access to the Software, you guarantee that such person accepts the terms and conditions of this EULA and you will indemnify Cheetah and its authorized distributors against any claim of such person. a) You may only use the Software after having read the instructions supplied with it before you use it. If you have any difficulty using the Software, consult the instructions to check you are using it correctly. This Limited Warranty does not cover repair or replacement of any Hardware or part thereof damaged by non-compliance with the instructions supplied with the Software. You cannot transfer this Limited Warranty to any other person. b) The use of the Software in a GPS enabled device means that calculation errors can occur, for instance caused by local environmental conditions and/or incomplete data. Cheetah cannot warrant that the Cheetah Software or Services operates error-free. c) Some countries may not allow the exclusion or limitation of damages. If this Limited Warranty is held to be invalid or unenforceable, such invalidity or unenforceability shall not invalidate or render unenforceable the entire Limited Warranty, but rather the Limited Warranty shall be construed as if not containing the particular invalid or unenforceable provision or provisions, and the rights and obligations of each party shall be construed and enforced accordingly. d) Notwithstanding any damages that you might incur for any reason whatsoever (including, without limitation, all damages referenced herein and all direct or general damages in contract or anything else), the entire liability of Cheetah and any of its suppliers under any provision of this EULA and your exclusive remedy hereunder shall be limited to the amount actually paid by you for the Software. e) Although suppliers of software or other data (‘Suppliers’) are not a party to this EULA and shall have no obligations hereunder, any such supplier is a third party beneficiary of the End User’s rights under this EULA. Suppliers shall not, to the extent permitted by applicable law, in any way be liable for any damages, or loss of any kind, whether special, direct, indirect, incidental, or consequential, arising from the use of the Software or the Services. Suppliers do not warrant, whether express or implied, including but not limited to, the implied warranties of non-infringement, merchantability, completeness, accuracy, and fitness for a particular purpose of Supplier’s data used in the Software. 6) PERSONALLY IDENTIFIABLE INFORMATION: You accept that each attempted use of the software will be recorded by Cheetah, including any personally identifiable information entered by you during the use of the software along with the IP address of your computer at the time of use. This information is used by Cheetah to ensure compliance with this EULA and for resolution of customer support issues. 7) TERMINATION: Without prejudice to any other rights, Cheetah may terminate this EULA if you fail to comply with the terms and conditions of this EULA. In such event, you must destroy all copies of the Software and all of its component parts. 8) ADDITIONAL SOFWARE/SERVICES: this EULA applies to updates, supplements, add-on components, or Internet-based services components, of the Software that Cheetah may provide to you or make available to you after the date you obtain your initial copy of the Software, unless they are accompanied by separate terms. Cheetah reserves the right to discontinue Internet-based services provided to you or made available to you through the use of the Software. 9) DISCLAIMER OF WARRANTIES: The Limited Warranty that appears above is the only express warranty made to you and is provided in lieu of any other express warranties or similar obligations (if any) created by any advertising, documentation, packaging, or other communications. 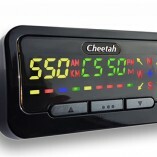 Except for the Limited Warranty and to the maximum extent permitted by applicable law, Cheetah and its suppliers provide the Software and support services (if any) AS IS AND WITH ALL FAULTS, and hereby disclaim all other warranties and conditions, whether express, implied or statutory, including, but not limited to, any (if any) implied warranties, duties or conditions of merchantability, of fitness for a particular purpose, of reliability or availability, of accuracy or completeness of responses, of results, of workmanlike effort, of lack of viruses, and of lack of negligence, all with regard to the Software, and the provision of or failure to provide support or other services, information, software, and related content through the Software or otherwise arising out of the use of the Software. Also, there is no warranty or condition of title, quiet enjoyment, quiet possession, correspondence to description or non-infringement with regard to the Software. 10) ENTIRE AGREEMENT; SEVERABILITY: This EULA (including any addendum or amendment to this EULA which is included with the accompanying package of the Software or is downloaded through the Services is the entire agreement between you and Cheetah relating to the Software and/or the Services and the support services (if any) and they supersede all prior or contemporaneous oral or written communications, proposals and representations with respect to the Software or any other subject matter covered by this EULA. To the extent the terms of any Cheetah policies or programs for support services conflict with the terms of this EULA, the terms of this EULA shall control. If any provision of this EULA is held to be void, invalid, unenforceable or illegal, the other provisions shall continue in full force and effect.